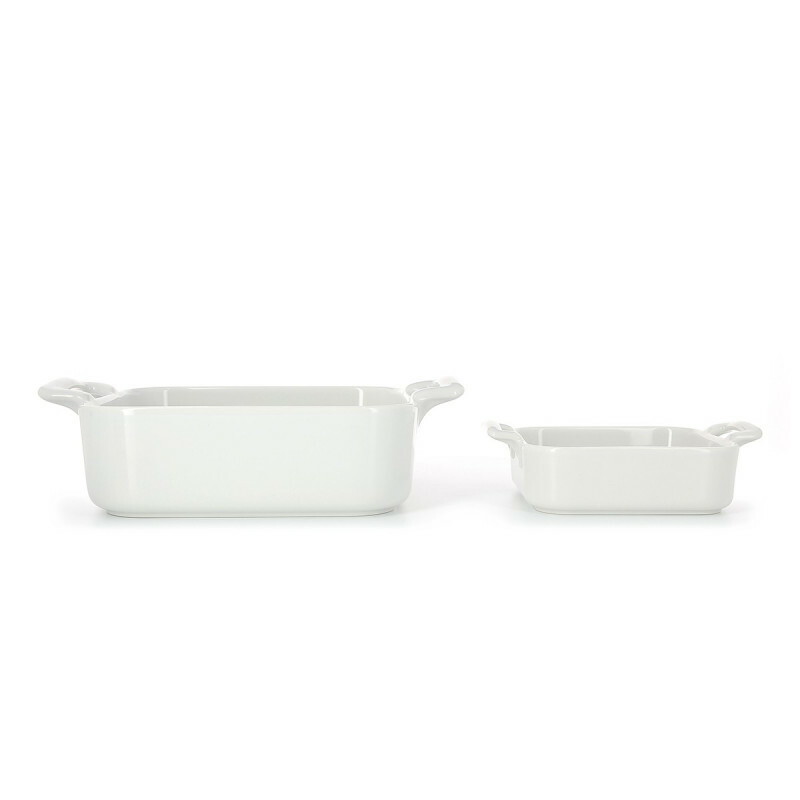 Get your essential set of 2 square bakers, with handles, for an everyday use. 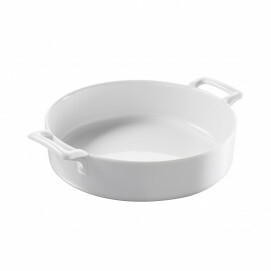 The essential 8-inch baker gets an upgrade in beautiful white French porcelain. Combine it with the smaller size 5inch for individual side dishes. The square side handles on the bakers are a bonus and make taking baked goods out of the oven much easier. 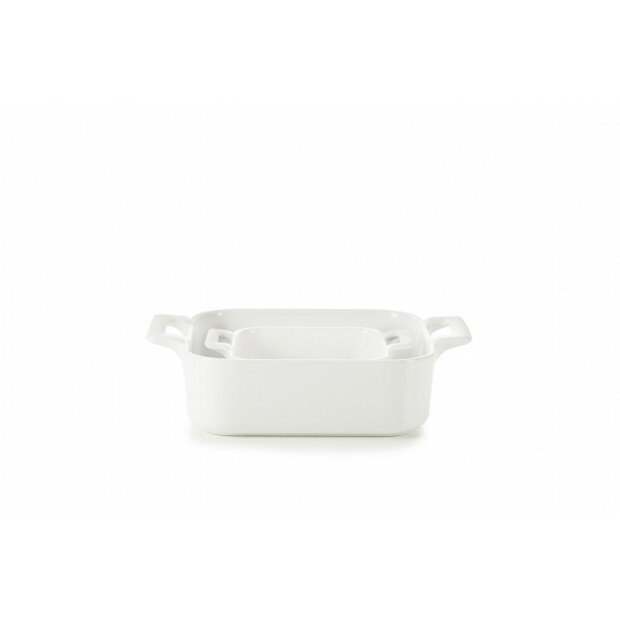 This glossy white finish won't change use after use. Set also available in black cast iron style. This set includes 2 dishes: 7.75" x 7.75" x 2.5" and 5" x 5" x 1.5". Also available separately.